Europe and the UK – We Have Arrived! Promoters & Distributors Needed to Serve UK Market – Click to Contact Us! We are about to hit the Billion Dollar mark of Visalus™ sales in North America. NOW Body by Vi™ is available in Europe and the UK! It is Official…Sign up is NOW AVAILABLE for United Kingdom Customers and Promoters. 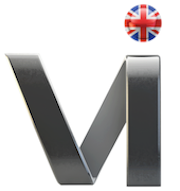 BE THE FIRST IN THE UK TO TAKE ON THE BODY BY VI™ CHALLENGE! Could your household use extra income? We invite you to take advantage of the ground floor ViSalus Europe Business Opportunity and become an Official Vi (UK) Body by Vi Promoter & Distributor. It is rewarding to help others get in shape and improve their health AND earn extra income by simply sharing The Challenge with others.